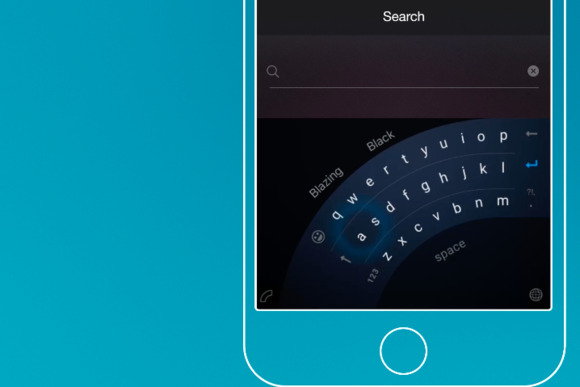 Microsoft has its own mobile operating system, but that hasn’t stopped it from opening a public beta for a new iPhone keyboard. That’s right—Microsoft’s Garage incubator began the private beta for its Word Flow keyboard on Thursday, allowing users to sign up for access to the application as it’s being refined. Users who get access to it will be able to install an app that replaces the iOS software keyboard with one made by Microsoft. The Word Flow keyboard’s leading feature is a one-handed typing mode that curves the keyboard around one bottom corner of the screen or another, so that it’s easier for people who have another hand full to fire off a quick text message. Word Flow also syncs with a user’s list of contacts, so it’s able to autocomplete saved names more easily. People who want a little more style can choose from a set of themes that make it look different from just a standard white typing surface. It’s unclear when the keyboard will see a broad release. Interested folks can sign up for the closed beta here, but it’s not clear how Microsoft is picking testers, or how many will be chosen. 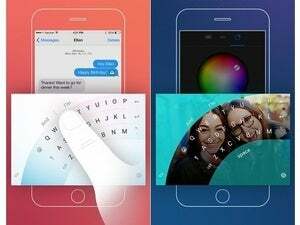 The news comes two months after Microsoft announced it was acquiring SwiftKey, the makers of a popular keyboard for iOS and Android. Overall, this is another announcement in a long string of news from Microsoft that’s focused on expanding the company’s products to other platforms like iOS.